Chinese Government Finally Blocks WhatsApp. More Internet Censorship? China has shown no signs of letting up and now it has banned Whatsapp, the hugely popular messaging service. Of course, this is not first and certainly not the last time China has and will ban messaging apps and social media websites. In recent months, the country has taken strong measures to ensure that internet censorship in the country is strictly enforced. This time though, it has banned arguably the most used messaging app in the world. That messaging app is WhatsApp. Well, many users in the country today have reported that they have experienced problems in connecting to the app. Chinese users have said that they can’t share videos and neither any videos. They can’t even send text messages to their peers. 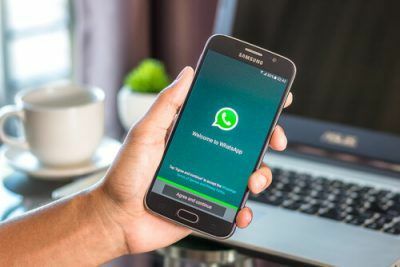 Nadim Kobeissi, a Symbolic Software applied cryptographer, has said that their analysis, that they ran the day on WhatsApp’s whole infrastructure, showed that the Great Firewall has begun to stretch its muscles. Moreover, the Great Firewall of China is also imposing internet censorship policies on other features that are available within WhatsApp. In other words, the Great Firewall of China is exercising selectivity when it comes to targeting common WhatsApp features. Symbolic Software is a research startup that has established itself as a reliable source. So when it says that CHina has started to ban Whatsapp for many users in the country, we think it is probably true. More interestingly though, China is also on the verge of a major leadership change. 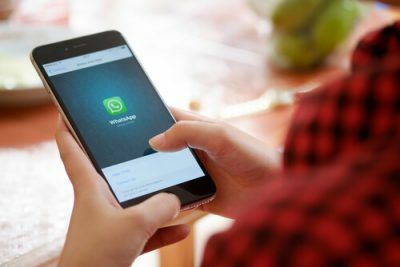 WhatsApp is the latest in the several number of messaging apps that Chinese authorities have banned. Some are calling it leadership reshuffle since the same set of people from the same background keep taking turns to rule China. And perhaps that is the reason why the Chinese government wants to limit access to messaging services such as Whatsapp. Maybe the Chinese government only wants to tighten the noose on the country’s internet services just a little harder. There is little doubt about the fact that the country’s ruling Communist Party is seeing increasingly visible signs of unrest. Experts believe that the Communist Party may see some significant changes in the party’s key positions. Moreover, this could also mean that President Xi Jinping may not hang onto his status as the most powerful person in China forever. But President Xi Jinping has consistently shown that he is a man of constant vigor. And it is unlikely that he would give up his power without a struggle. A respected Chinese censorship researchers who goes by the pseudonym of Charlie Smith recently told a media news site in an email that the Chinese government has blocked Whatsapp for very specific reasons. 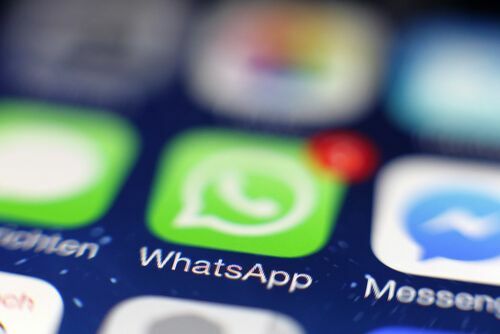 For one, it means that the Chinese government has now shut down one of the last encrypted and free messaging apps remaining in the country. But there is another important point though. The Chinese government has now taken several steps to ensure that the Chinese people don’t have access to services that allow private conversations with their fellow citizens or peers. According to Charlie Smith, the rest of the internet community is busy increasing the impact of existing freedoms. The community has continued to develop innovative and unique circumvention or bypass tools. One of those tools is a VPN service. Of course, the Chinese community is doing from very little to nothing in order to struggle against the climate of fear. According to Charlie Smith, President Xi Jinping is the man who has manufactured such a climate of fear in the whole of China. Everybody knows the answer to that question. Of course, it is Facebook. Perhaps that is why the Chinese government has such reservations about allowing people to communicate with a service that an American company owns. As mentioned before, Facebook’s Whatsapp is a massive global free messaging service application. WhatsApp came into existence back in 2009. Hard to believe that before 2009, people did not have access to a messaging service like WhatsApp. And people like Jan Koum and Brian Acton recognized the problem. Why Is WhatsApp So Popular? Is WhatsApp evil? Probably not. Is it okay for China to let a foreign online service dominate the country? No. Very easy to install as well. But most of all, it supports a wide array of platforms. In other words, it is available on multiple operating systems. A client for the Windows operating system is also available. 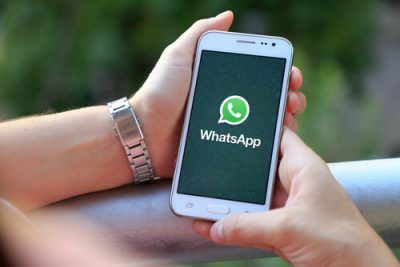 With WhatsApp, users can text their friends and family or even strangers and business contacts given they know their number. The best part about WhatsApp is that it encrypts all conversations from end-to-end. In other words, no one can know what you are talking about with your contact. If you want to have a private conversation then WhatsApp is probably one of the better messaging services available. WhatsApp also allows users to form groups and communicate with each other. They can also share an unlimited number of multimedia files. That includes, audio clips, videos, and photos. And all of this comes free of any change. What About Other Messaging Services In China? Or Is There Only WhatsApp? It may sound hard to believe but there aren’t a lot of messaging services in China at the moment. In fact, as far as foreign internet services go, WhatsApp is the only one that still operates and works in China. Of course, now the Chinese government has also blocked WhatsApp. And it has fell victim to the country’s notorious but effective The Great Firewall Of CHina. Perhaps this is a good time to mention here is that the Chinese government has banned lots of other online services and apps. So WhatsApp shouldn’t really feel hard done by. It has just joined the herd, in other words. What Is This Great Firewall Of CHina That Has BLocked WhatsApp? It is a filtration system. And a very advanced one at that. That is all you really need to know if you think about it. What Will Chinese People Use Now That WhatsApp Is Blocked In China? Is WhatsApp the only messaging app in China? Hell no. Well, China has its own version of WhatsApp. Didn’t the Chinese government ban that too? The Chinese government has banned WeChat too. It banned the WeChat service as a part of its series on online censorship program. The Chinese government has even implemented a new cybersecurity law. This law allows the government to remove and delete any political material that is deemed sensitive. In other words, the Chinese government does not want its citizens to share sensitive political material with each other on the web. What About Telegram? I Can Use That Instead Of WhatsApp Right? The Chinese government has banned that as well. It banned Telegram some time ago after the Chinese government realized that a lot of Chinese people had started to use the service in order to communicate with each other privately. For the uninitiated, Telegram is also a messaging service. And it too, is banned in China. All of this adds more fuel to the speculation that the Chinese government plans to increase the scope of its internet censorship program. And it will lay the groundwork for that by banning social media platforms along with messaging apps. This also gives some weight to the idea that the Chinese government is simply trying to address the public who defied the government and honored Liu Xiaobo’s death. Perhaps the Chinese government wants to eclipse his death with such drastic measures. Who On Earth Is Liu Xiaobo? He is a Nobel peace prize laureate. The Chinese government had jailed him for holding views that went against the ideals the Chinese government had set for the country. Xiaobo fought with his pen against the Chinese government’s dictatorial rule. To put it another way, Xiaobo believed that the Chinese government’s policies indicated that it had dictatorial tendencies. The director of Citizen Lab, Ronald Deibert, recently published a blog post about Xiaobo’s death. In the blog post, he wrote that the Chinese government looked concerned that Liu’s “martyrdom” may give rise to a collective action on part of the Chinese people. The Chinese government may also want to save its face in the whole situation. Ronald also said that he considered the WhatsApp ban as a knee jerk reactions. In other words, according to Ronald, the Chinese authorities only want to quash any and all publish discussions related to the death of Liu. In the modern world of the internet, this means that the Chinese government will apply strict internet censorship on almost all social media platforms. Positives From The WhatsApp Ban. For The Chinese Government. Of course, the more the Chinese government takes out foreign internet business, the more opportunity there is for local talent to step forward and shine. And sure enough, China has seen a sudden and quick boom in local businesses. Just to take an example, we know that China has banned Google in the whole country for years now. This has lead Baidu, the Chinese native online search engine, to thrive. Some of you may already know that China (surprise) has also banned Twitter. This has resulted in a remarkable rise of Weibo, the Chinese equivalent of Twitter in China. It has gained a ton of popularity in a short amount of time following Twitter’s ban. And now we know that WhatsApp is also not going to see the light of the day in China. As far as Facebook goes, it has not come out with an official statement yet.